1942 I mended some & Baked a pie. Got statement from Bank. Mable was here for awhile. 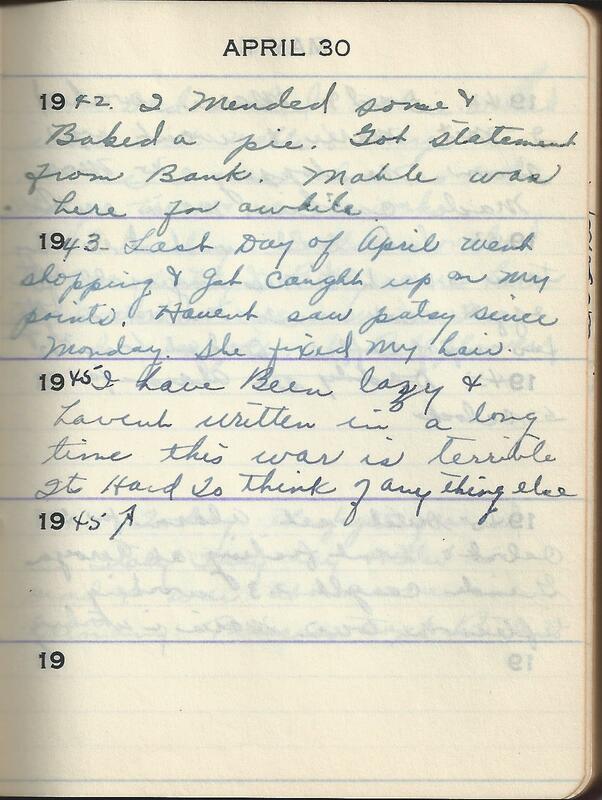 1943 Last Day of April went shopping & got caught up on My points. Havent saw patsy since Monday. She fixed My hair.